The aerospace and defense sector is key to assess when it comes to the adoption of any emerging technology. The main players have specific material requirements and big budgets to address their needs. One of the key demands is lightweighting. Aerospace has the highest carbon footprint per tonne-km over any other mode of transportation and regulatory demands and economic advantages mean that saving any weight is a constant target. Which lightweight materials will be the winners and losers in the aerospace & defense sector? Is aluminium having a resurgence? Will regulatory changes let magnesium reach new heights? IDTechEx Research has released a new report on Additive Manufacturing and Lightweight Materials for Aerospace and Defense 2018-2028 which goes far beyond what is traditionally available through the extensive gathering of technical primary information. The analysis contains roadmaps, forecasts, company profiles, and technology assessments in one of the key sectors in the adoption of early-stage technologies. 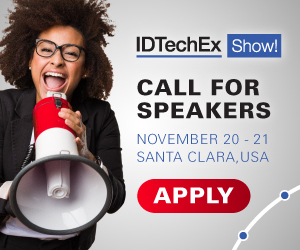 This builds upon IDTechEx Research reports on Composites, Lightweight Metals, Additive Manufacturing and much more. Register for both parts of the webinar and view other upcoming and on demand IDTechEx webinars at www.IDTechEx.com/webinars.